Steem dapps have been really difficult to access these days for me because my VPN has been down for awhile as well. I think my last video had something to do with it because all this nonsense only started happening about 24 hours after I posted that video. @drugwars, any suggestions (besides me moving out of this country)? Will you guys be moving away from SteemConnect anytime soon? Perhaps you could utilize the Steem Keychain instead? Im missing out on so much action. 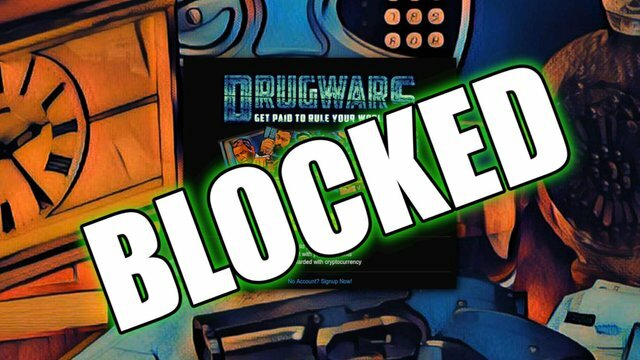 I cant twitter hustle, cant upload to DTube and now I cant play DrugWars or access anything that uses SteemConnect (unless I am already logged in). I guess this is one way to end a social media/internet addiction. Btw, wtf happened to @steepshot? They had something going and now their app is all fucked up and they are nowhere to be seen. I cant check Discord because thats blocked to. Anybody know what's up with them? Don't worry , send me your steemit I'd password I will play on behalf of you (😂😂 joking) Well I hope it should get solved soon, I mean the problem 😊. The theory behind the game is to become the biggest drug lord ever. You should be good at it because it is similar to what you do in your real life in India 😁. And when you must make this New China government social media pages where they can keep track of all of your daily activities ...and also upvote it when you are good for them and if you are bad you can not certain types of stores or vehicles to use, and can not send your children to a some schools... ??? I was read there is something this working now. I also have heard much about it but I havent seen it in action. It might be implemented but I am not sure. China does a lot to try and control the people (in a good way) because they can be difficult to manage. Yea dude sounds like you need to make use of a VPN! Dapps definitely need to make use of keychain, finally tested it out on my PC and love it! We need to see something like this for iOS as we cannot use extensions on the chrome browser like android. Not just a VPN but a VPN that works and one that I can download!! Ive been using the same one for 4 years and this is the worst outage I have experienced. The websites to download.VPNs are blocked as well. Not easy these days. Yeah man. It also helps because you wont need to manually enter your passwords on your phone which is annoying. They should at least post an update or something. Zappl seems to be out as well. What happened? They had an update where you could add short video clips and then all of the sudden they are gone. Dont mock me like this 😑 Discord is also blocked in China. Oprah browswer has one built in. You can turn it on in the settings. Which video put you on the outs? This. A VPN could work in their situation and a reasonable number of them are free. I already use one but it hasnt been working for about 2 weeks. It isnt easy to download them because even the websites are blocked. This is something I have had to deal with for the 4+ years I have been in China but this is definitely the worst outage I have experienced. Yes. My current VPN that I pay for yearly has not been working for about 2 weeks. The government is constantly making it more difficult for VPNs to operate. I sent an email to the company and they sais that what the government has done recently is extremely complex and they may need to find new technology to implement. 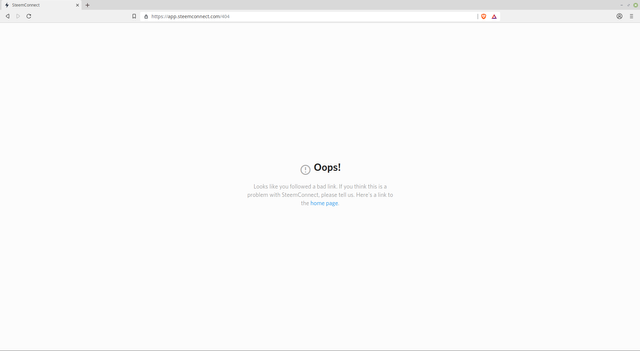 I tried downloading opera browser. It does not have a VPN on the one you download from chinese servers. If it did, the government would censor the whole site so that nobody in China could download this browser at all. Opera made a compromise I guess. VPNs cannot be easily found and downloaded because the websites are usually blocked to prevent people from downloading them. Mine is one of the good (and expensive) ones that I have been using for years. I guess they got hit badly this time and need to figure out something new. Check out my most recent DTube video I uploaded. Oww sorry to see that you are not able to connect to the game. We use keychain only after the login at the moment. But we will work to integrate it for login too! Thanks a lot. I hope to hear about it soon. Really too bad. But I was wondering what this Drug Wars was. This is not really cool and duscouraging! It can be an annoyance for sure. @kenanqhd You have received a 100% upvote from @intro.bot because this post did not use any bidbots and you have not used bidbots in the last 30 days! You made more than 25000 upvotes. Your next target is to reach 26000 upvotes.